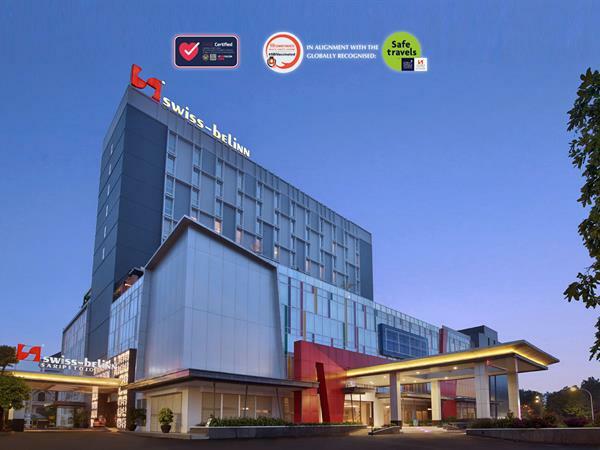 Swiss-Belinn Saripetojo, Solo is a three star hotel in Solo and strategically located on Jl. Slamet Riyadi, the main avenue in the city, and is only minutes to the central business and government district as well as tourist attractions located alongside the avenue. The hotel formerly was a historical ice manufactory building from the Dutch Colonial era in 1919. Conveniently situated only 20 minutes drive from Adi Sumarmo International Airport, and 10 minutes from Solo Balapan Train Station, makes it the ideal accommodation choice for business or leisure travelers to the city. Stay in touch with all the latest news in Solo. Swiss-Belinn Saripetojo offers 137 hotel rooms in Solo including non-smoking rooms and rooms for physically challenged. Located on the 5th floor, BaReLo is a combination of bar, restaurant and lounge. BaReLo is designed for casual dining in Solo in an elegant Javanese style interior. Serving a delightful local and international menu for buffet breakfast and an a la carte menu throughout the day in the Restaurant area. The hotel has an array of Hotel facilities in Solo including 8 meeting rooms, Bar, Restaurant, Lounge as well as a swimming pool and Spa. Solo lies some 100 km south of Semarang and some 60 kilometers east of Yogyakarta. As the 'twin' sister of Yogyakarta, this city looks much like the later.